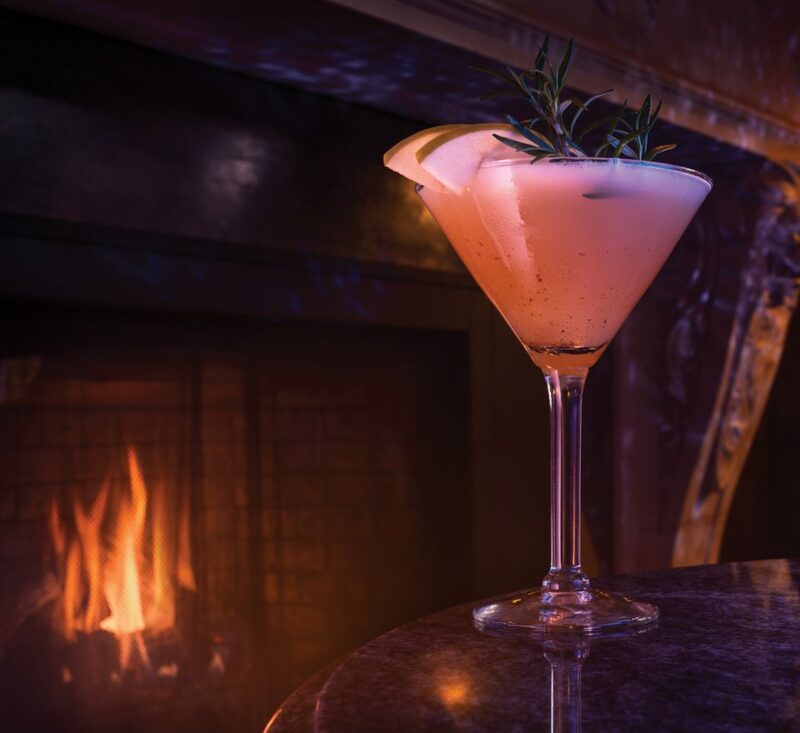 This fruity and herbaceous cocktail is perfect for enjoying by the fire. This fruity yet herbaceous cocktail is a mix of sweet and savoury, perfect for sipping near the fire while celebrating the season. Muddle a sprig of rosemary and a few apple chunks with a dash of cinnamon. Add the remaining ingredients – shake and serve with a garnish of a rosemary sprig, cinnamon, and apple slice.